You would be hard-pressed to find a segment in the automotive industry that is more competitive than the midsize SUV. For many drivers, the midsize SUV is a Goldilocks of sorts, not too big or too small, just right. With all this interest, automakers have flooded the market with tons of available models for drivers to choose from. With so many options, which stand out from the rest? That's where we come in. We create these model comparison pages so that drivers can see how some of the most popular vehicle models in the most competitive markets stack up directly against one another. We find that it helps drivers to see key model information side-by-side to cut down on confusion and make the process just a little easier. For this comparison, we're going to be looking at the 2018 Mazda CX-9 and 2018 Toyota Highlander, two very popular midsize SUV models. To gauge their value to drivers, we're going to look at their fuel economy, power capabilities and interior space. Let's see who comes out on top! 3,500 lbs. Max Trailer Weight 1,500 lbs. 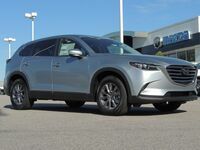 Test drive the 2018 Mazda CX-9 just outside Raleigh, NC today! As you can see from the data and information from both models, it's clear why both are so popular among drivers! Both offer impressive measurements and metrics when it comes to efficiency, power and space. 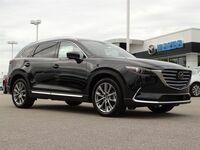 However, when you look at the two side-by-side, it's clear that the 2018 Mazda CX-9 holds the edge over its Toyota competitor. Usually, to get the efficiency of the 2018 Mazda CX-9, SUVs have to sacrifice power or space, but that's not the case here! Not only is the 2018 Mazda CX-9 more efficient than the 2018 Highlander, but it does so while also offering substantially more power and more standard interior cargo space. Essentially, it's a best of both worlds! Want to learn more about the 2018 Mazda CX-9? Ready to get behind the wheel of one? Contact our staff at Medlin Mazda for more information or to schedule a test drive today!